WEFLATING PASSEIG DE GRACIA is a self-catering accommodation in Barcelona in a classical building and located in a very special area in Barcelona, between Passeig de Gracia and the nice area of Gracia. 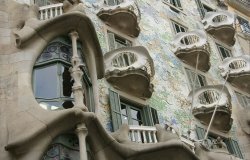 The property is 200 metres from Metro Diagonal and from La Pedrera. This part of the city is one of the most stylish, located among the cool area of Gracia and the stylish shopping area of Passeig de Gracia, home of some of the best international brands. The area is both safe and lively and walking distance to all spots in the city. The large and spacious different apartments have either three or four bedroom and two bathroom with both, shower and bathtub. The living room have amazing views to Passeig de Gracia and important Avinguda Diagonal, a large table suitable for eight to ten people, flat screen TV, air conditioning and comfortable sofas. There is a full kitchen with small office area, dishwasher, oven, microwave and any cooking facilities needed. Other facilities in the apartments are free Wifi, balconies, air conditioning and hairdryer. 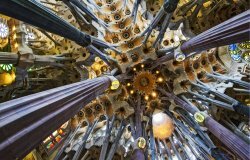 If you feel like visiting the surroundings, Sagrada Familia or Passeig de Gracia Metro Station are only 1.1 km away. Connections are also very convenient from / to El Prat Airport is located 13 km away. 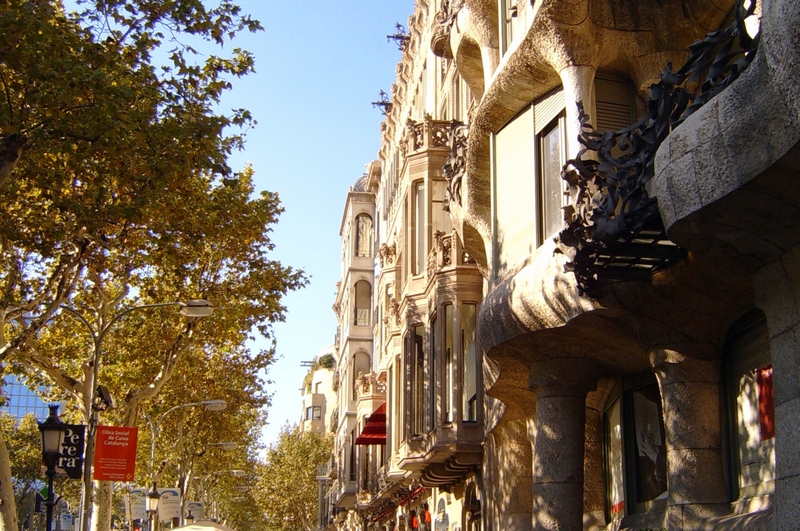 El Paseo de Gracia is one of the most famous and tourist streets of Barcelona, ​​possibly second only to La Rambla. 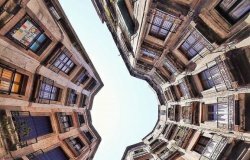 It is also one of the most luxurious streets of the city, where the elite of the bourgeoisie lived in the golden age of Catalan modernism, which got this famous street became a modernist architectural showcase of incredible magnitude. 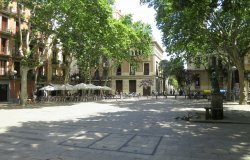 The most recognizable buildings you'll find the Paseo de Gracia are: La Manzana de la discordia, between the streets of Aragón and Consell de Cent. La Casa Batlló, a must if you come to visit Barcelona. Casa Amatller, wonderful building that combines Gothic Catalan flamenco. 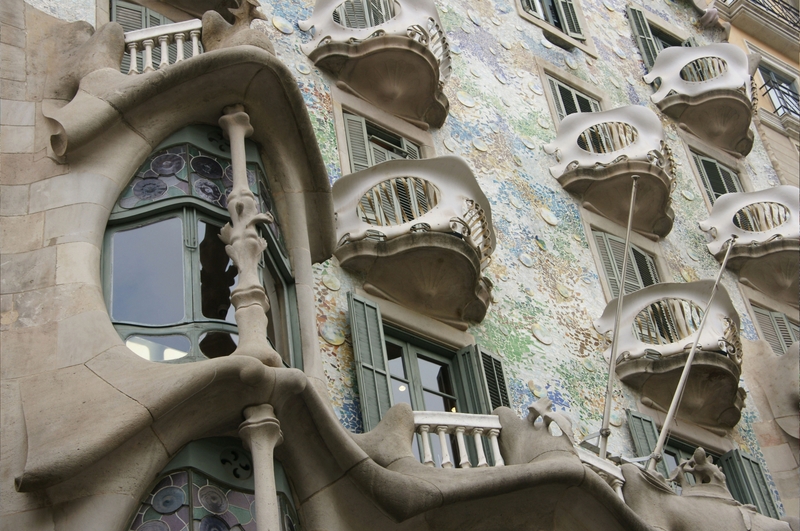 La Pedrera, which has been declared a World Heritage Site, is also a must for anyone who tread Barcelona. 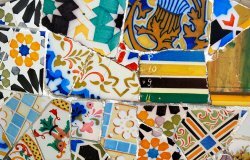 Trading in Paseo de Gracia is important. 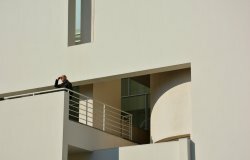 This makes it increasingly fashion branding and complements international character established in this Barcelona avenue. You will find the headquarters of large chains and brands such as Zara, Mango, Desigual, Massimo Dutti, Levis or Benetton. You'll also find the classic luxury brands such as Rolex, Loewe, Louis Vuitton and Chanel among others. As expected, in Paseo de Gracia can not miss places for coffee, a snack, lunch or snack. 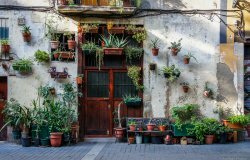 Throughout the whole street, you will find many local type cafes, terraces tapas or restaurants where you can regain strength if you take a long time walking around town. You are kindly requested to call the check in number below from the airport in order to confirm meeting time at the apartment. 3) TRAIN: The train only departs from Terminal 2, so if you arrive to Terminal 1 you have to take the shuttle bus between the two terminals. 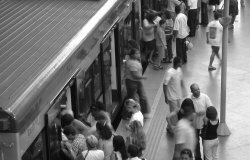 The train service runs approximately every 30 minutes and costs 4€. 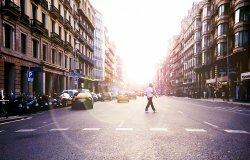 To reach these apartments you should take the train until PASSEIG DE GRACIA and from there you can walk to the apartment which is only 10 minutes away.